St. Joseph students excel in our challenging academic environment and consistently score above the average on both Archdiocesan and national standardized testing. The school has annual winners in Writing, Mathematics, Handwriting and Art contests. Our students continue to be accepted by the Catholic high schools throughout the Archdiocese and are rewarded for their excellence in academics with advanced course placements and academic scholarships, totaling more than $900,000 per class in recent years. For nearly 25 years, a Knott Scholarship winner has been among our graduating eighth graders. Students in grades 2-8 take the Iowa Assessments and Cognitive Abilities Test for Reading, Language, Math, Science, Social Studies, and Listening Skills. 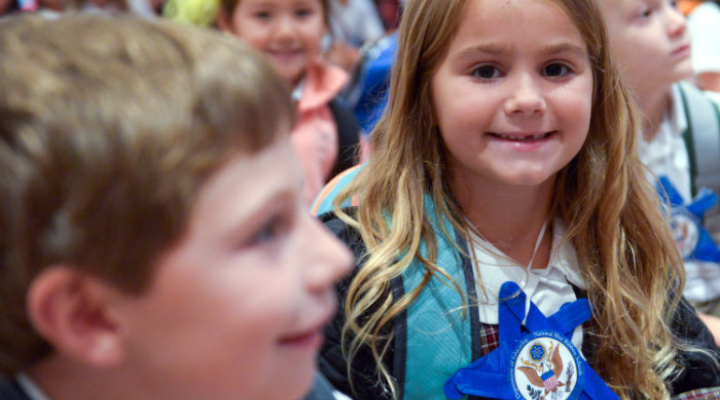 St. Joseph School students not only score well above the national average, their scores also improve as they move through the grades.